The International smash hit Spirit of the Dance is one of the most successful shows ever to come out of Ireland and has been seen by more than twenty million people around the world, and now you can see this amazing show in Branson, MO. At any one time, up to six performances of Spirit of the Dance can be taking place on the same night in different corners of the globe. Over 250 dancers, 150 technical staff, 50 musicians and 75 management personnel are working round the clock to ensure that this smash hit production looks great wherever it appears worldwide. The Irish International Dance Company was formed in the spring of 1996 when the dream of Spirit of the Dance was conceived. A small but dedicated troupe of just 30 Irish Dancers were busy rehearsing for their debut performance, which was to take place in September of that year at the Bristol Hippodrome Theatre, England. After weeks of meticulous rehearsals, and an enormous amount of sweat and tears, the dancers prepared for their very first performance. The tension and the backstage nerves miraculously disappeared as the cast made their first stage entrance in front of a live audience. They danced their hearts out and gave the performance of their lives. No one knew, or could have dreamed, that Spirit of the Dance would become one of the world's greatest dance shows. As the reputation of Spirit of the Dance began to spread, the Irish International Dance Company expanded as more and more dancers were needed to satisfy demands of audiences all over the world. The world champion dancers of the Irish International Dance Company sound like a runaway express train and their frenzied skill and military precision sends shivers down your spine. Not one Irish dance shoe steps out of line as their thunderous feet perform as one, with an excitement that leaves audiences screaming for more. 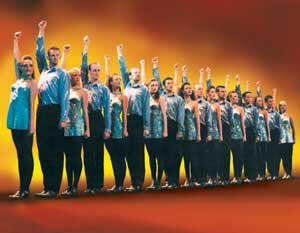 The spectacular foot-stomping show features dynamic lighting, dazzling costumes, and stunning choreography. With thunderous applause, standing ovations and sold out crowds at every performance, "Spirit of the Dance" is undoubtedly one of the greatest dance shows ever. 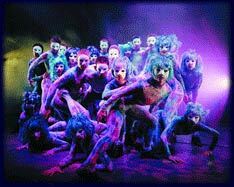 Be sure to grab a chance to see it when Spirit of the Dance comes to Branson!